The Story of Odysseus & Penelope is one of love and perseverance against all odds. From Homer’s Odyssey, the tale begins when Odysseus is called away to war for 20 years, forcing Penelope to remain faithful against all the odds until they are finally reunited. The spirit of O+P embodies the celebration of reuniting with those important to you. To dine well and enjoy time together, whatever the occasion. O+P is a welcoming space designed for large and small groups. 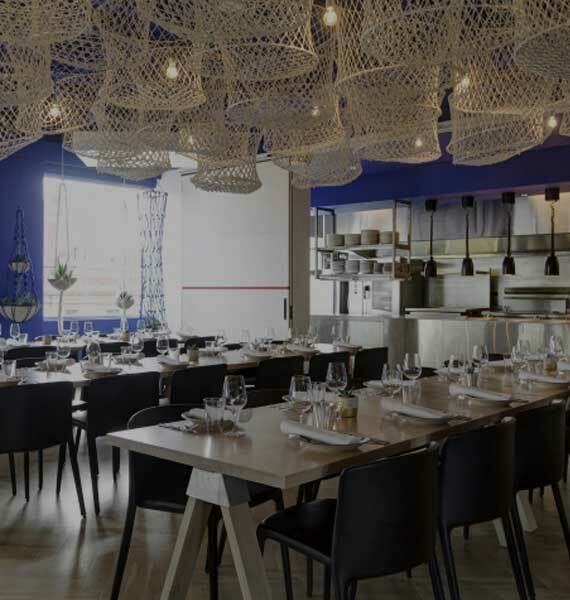 From birthday and wedding parties to conferences and work functions, O+P delivers a relaxed atmosphere with food and beverage packages inspired by the award-wining Hellenic Republic restaurant. O+P can accommodate up to 100 guests for a sit down dinner, or split into two smaller rooms to seat up to 36 & 60 guests respectively. With an assortment of dining styles on offer we are able to host a wide variety of events from cocktail parties, shared banquets & formal plated dinners. We hope you enjoy the Christmas decorations this year. Dig deep and support your local traders and businesses in the heart of Kew. Your Business Association – working for a better Kew Junction.